What happens when a local calls up Descanso Gardens and offers a donation of almost 180 plants? Not just any plant, but a type of plant that dinosaurs enjoyed walking next to and sometimes nibbled on, almost 300 million years ago. They went to the Elsea’s home and saw a yard filled with 60 different species of one of the earliest types of flora on Earth. The Elsea’s wanted to make sure their collection would be in good hands. 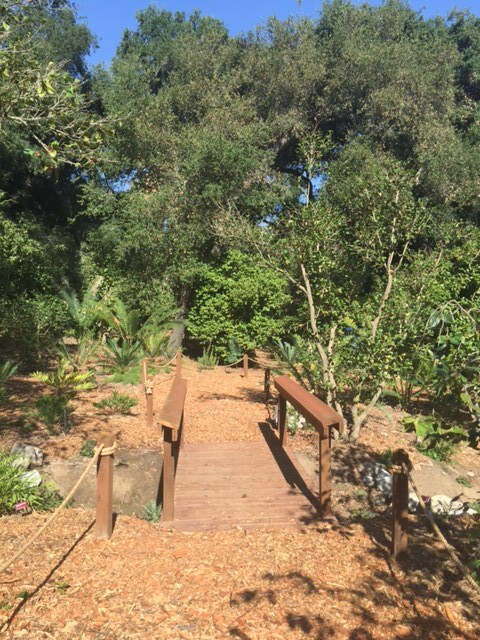 Come see the newest addition to Descanso Gardens’ 160 acres of gardens, woodlands and chaparral. Stroll and appreciate the beauty and tranquility on Saturday, Sept. 26 between 10 a.m. to 2 p.m. and take a guided tour at 10:30 a.m. and 1 p.m. to learn about a variety of plants that thrived millions of years ago. 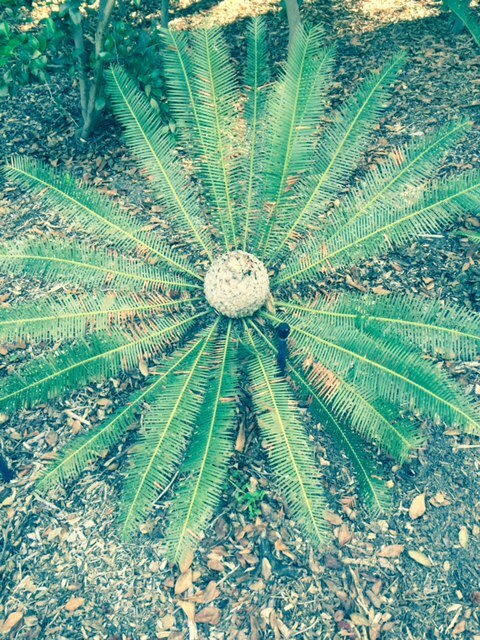 Besides a cycad collection with blooming cones, there are conifers – Redwoods and Pine trees looming high in the area. Throughout this area and below the Boddy House, there is a nice variety of ferns. All of these plants are non-flowering and have been on earth before camellias, magnolias and water lilies. On Saturday there is a fossil table to see a display of fossils from the Jurassic era. An educator from the National History Museum will be at the table to answer questions. Families can make a fossil at the Center Circle to take home. It’s easy to close your eyes and imagine dinosaurs roaming around the plants. They may be extinct, however these plants are blooming beautifully.